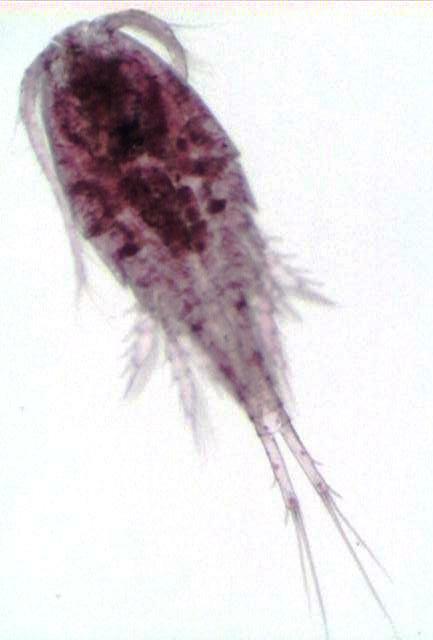 Image from Zooplankton of the Great Lakes. The Species D. thomasi has been reported (or is assumed) to occur in fresh waters. This taxon has been reported from Wisconsin. Diacyclops thomasi, "Widespread in Canada and the conterminous USA; no records from Alaska or Mexico. Usually planktonic in large lakes and reservoirs, but has been found in small waterbodies including riverside rock pools and cave pools" (Reid & Williamson, 2010). Cyclops (Diacyclops) bicuspidatus thomasi, "A widely distributed and common limnetic species in [North America]" (Wilson & Yeatman, 1959).